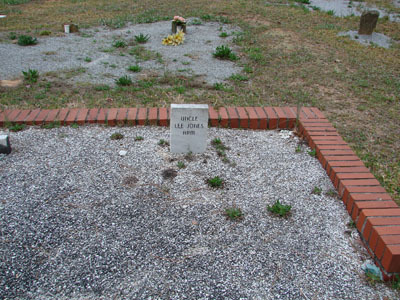 NOTES: Robert Lee Jones' body is buried at the Macedonia Primitive Baptist Church Cemetery on Highway 20. Mr. Lee Jones, who was so badly hurt in an auto wreck that he lost his left arm three weeks ago, is now able to be out, and this week picked cotton on the P. Frank Smith place in the Smithville School District. 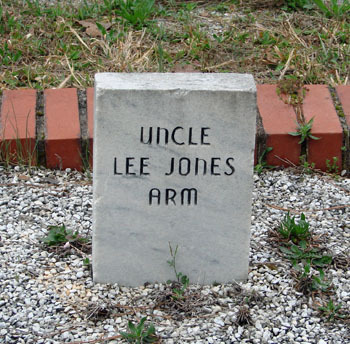 NOTES: Mr. Jones amputated arm was buried at Macedonia Cemetery.